If your kid’s birthday is round the corner and you are planning to make it big and memorable, you must plan it in a way your kid will appreciate. One such way is to develop the invitation cards based on some cartoon theme. Children immensely love animated characters. So, a step like this will definitely make your kid as well as all tiny invites happy. 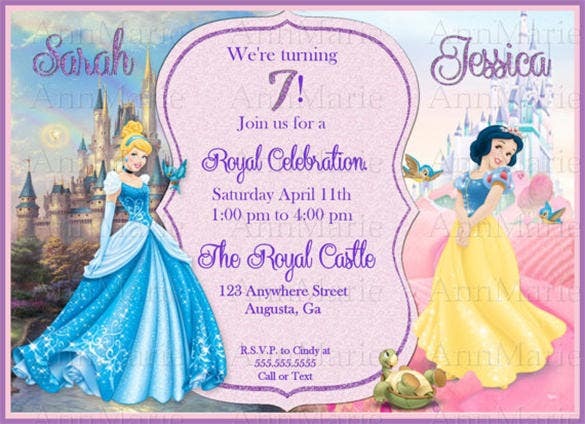 You may choose to refer to a cinderella invitation template to add some zing to the cards. 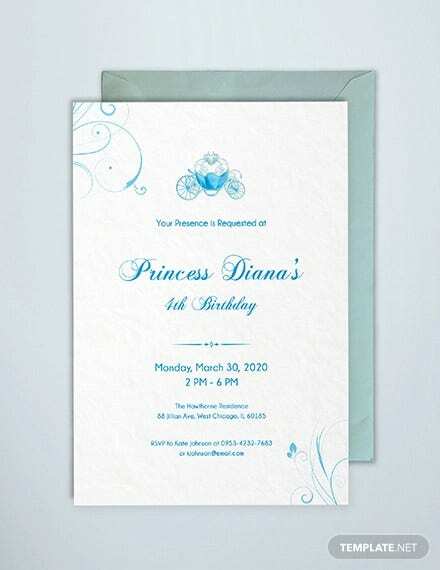 You can also see Surprise Party Invitation Templates . 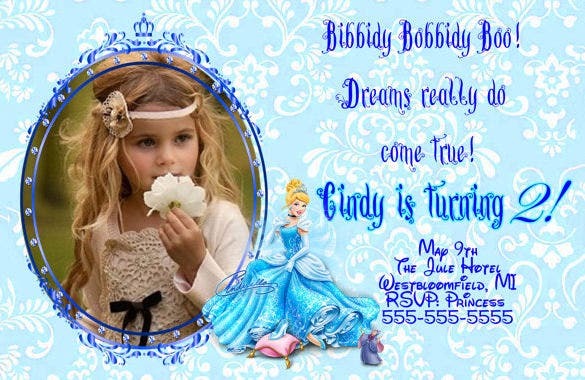 Cinderella Birthday Invitations are a rage among kids these days. The appearance of the template is a little towards the feminine side. Hence, it’s suitable as your girl child’s birthday invitation card. ThisCinderella and Snow White Inspired template basically shoots two birds with one stone. So, it’s a single invitation card for two kids sharing the same date of birth. 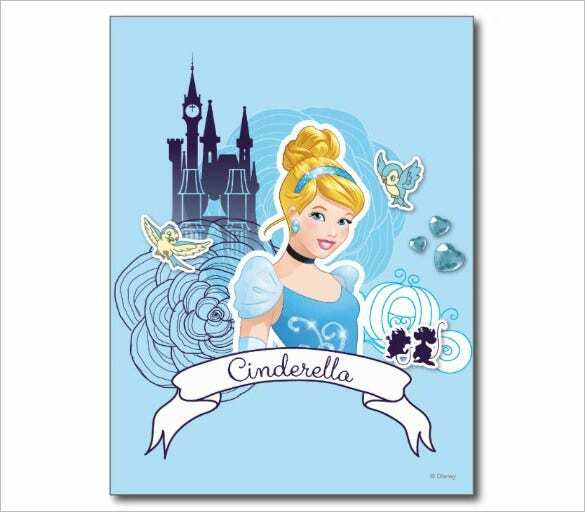 Write your heart out to your friend using this amazing Cinderella Gracious Heart Postcard. The postcard dazzles with a printed front with the image of this elegant princess. Love dancing princesses? If yes, then this is the template for you. 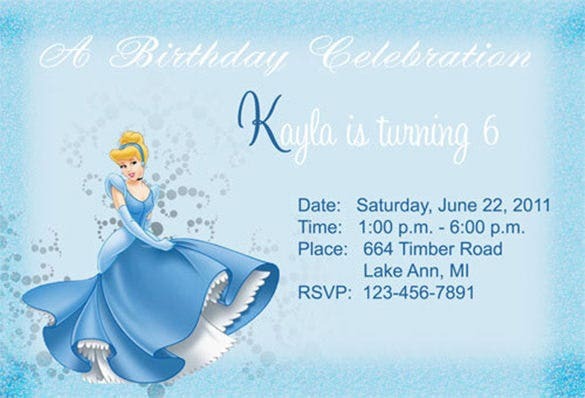 This all blue Cinderella Birthday Invitation Templatestands out with its catchy graphics. So, you have a ball invitation to make. Don’t waste time thinking you can’t use a cartoon themed card. 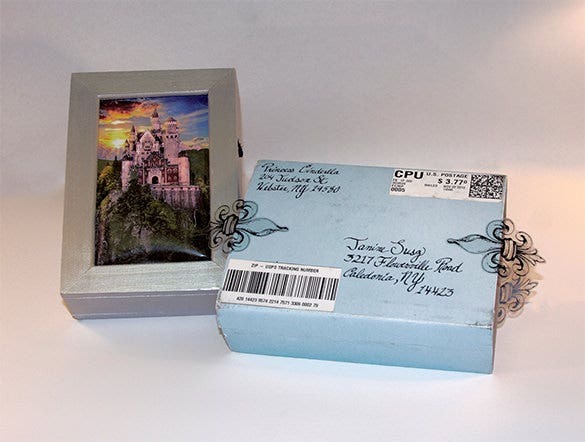 Send outCinderella Ball Invitationcards and relive childhood. 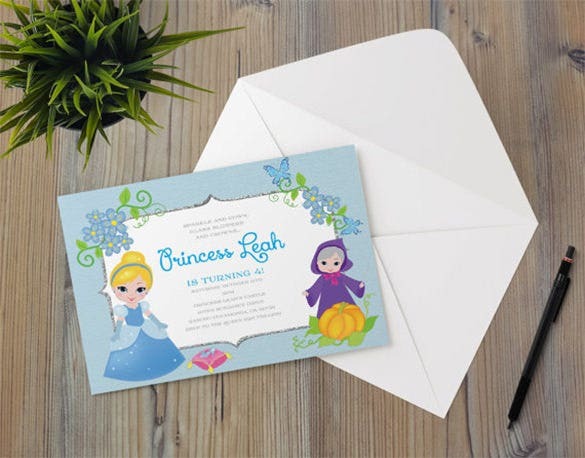 Createyour girl’s birthday invitation cards inspired from this amazingPrincess Cinderella Fairy Invitation templateand give her a reason to smile.Just give it a try! 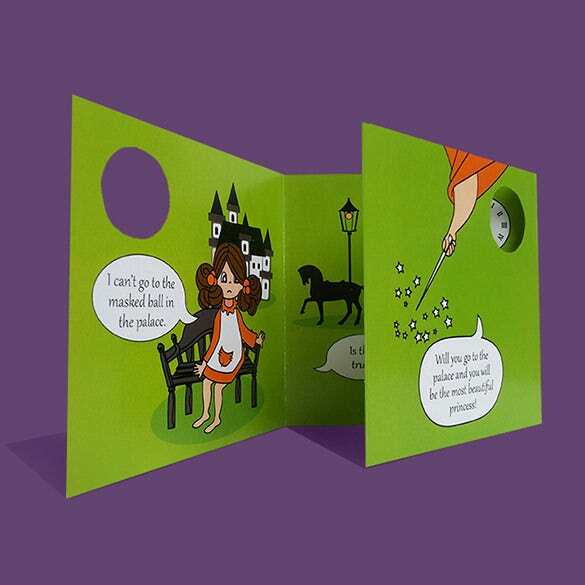 If you are looking to use a multi- foldbrochure as a party invitation card, then choose the Best Cinderella Party Invitationtemplateto have a blast. 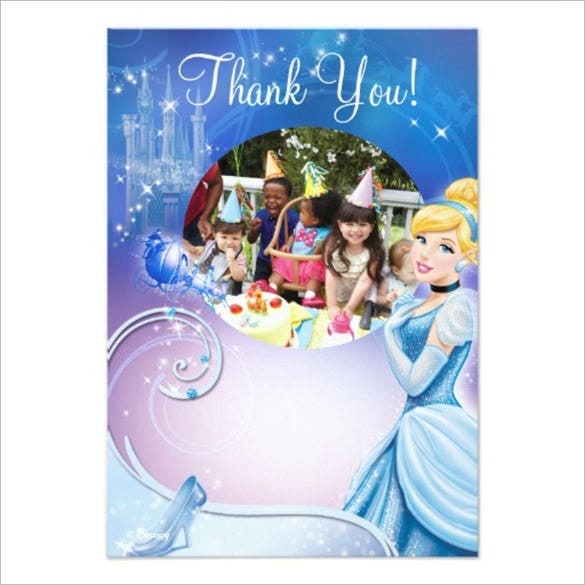 Cinderella 3 Birthday Thank You Cards look amazing with their unique design. The incorporation of a picture of real kids has given the card a dynamic feel. 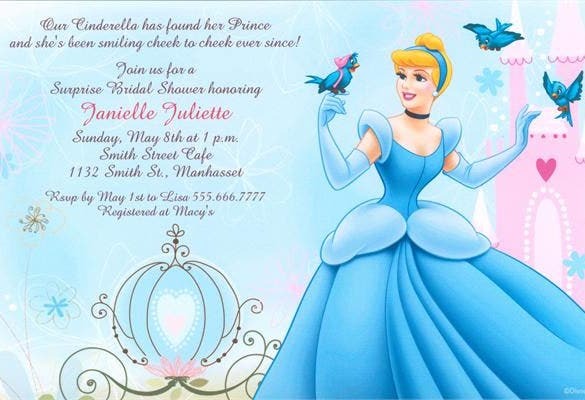 The USP of this Beautiful Cinderella PSD Invitation is that it is available in a PSD format. As a result, the template is highly customizable. Cinderella Ball Bridal invitation is basically a wedding invitation card template with a fairytale feel. Opt for it to add panache to your big day. This template can be edited on photoshop and thus, personalized. 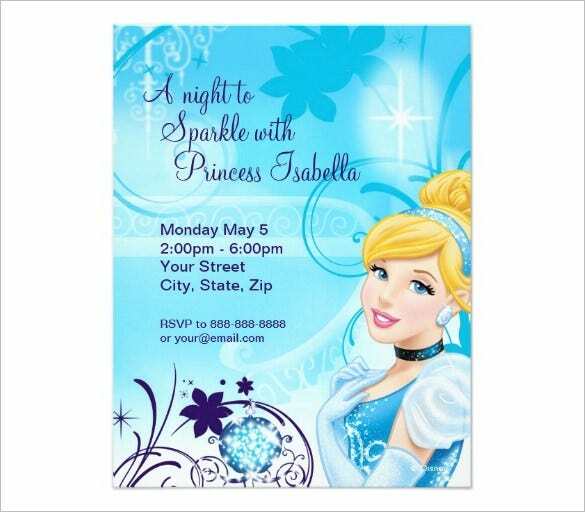 Use this Amazing Cinderella PSD Invitation Template with some modification in the text. These templates are perfect to be used in conjugation with bright and funky Minnie Mouse templates. Easy to download and compatible with Word and PowerPoint makes these templates are really popular. Get these free templates from this website and spend that special birthday which your daughter will love. These premium templates also come in a variety of shapes so print them out today. Cinderella is the favorite character of many, many children. 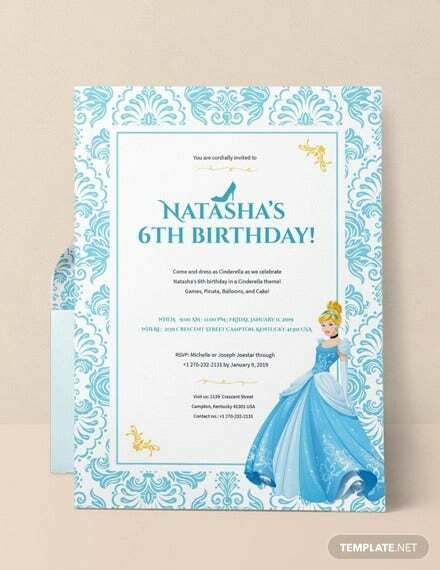 If you’re hosting your kid’s birthday party and have chosen Cinderella has the theme, then you possibly cannot miss out on including Cinderella on the birthday party invitation. 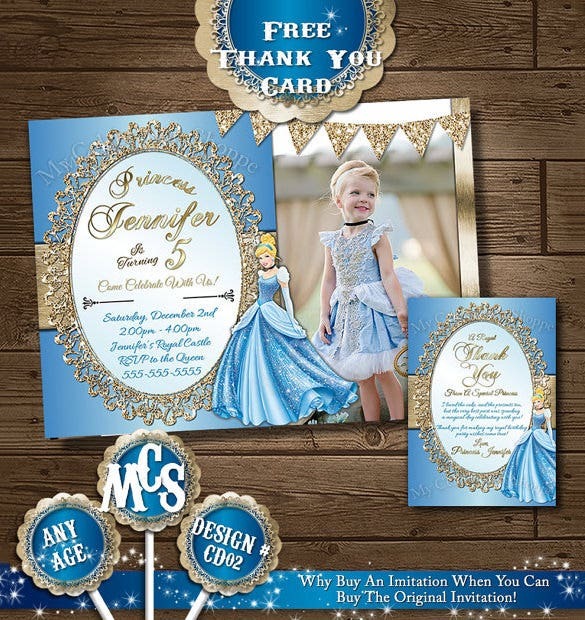 Doesn’t matter if you have or don’t have knowledge about invitation design because we have here for you a slew of wonderful Cinderella invitation templates. You can pick the one you or your kid loves most, tweak the elements as per will, and you’ve the invites all set to be sent around! 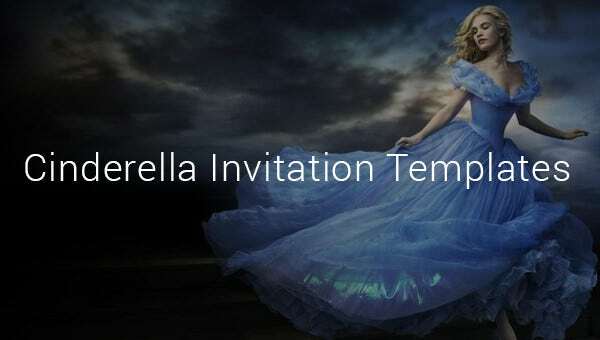 You can download Cinderella-Invitation-Templates from the internet. The good news is that there is no dearth of sources. And the bad news is, it’s difficult to find out authentic sources. Once you get this done, you are all set to reap amazing benefits that these templates are meant to offer.